Closeouts. 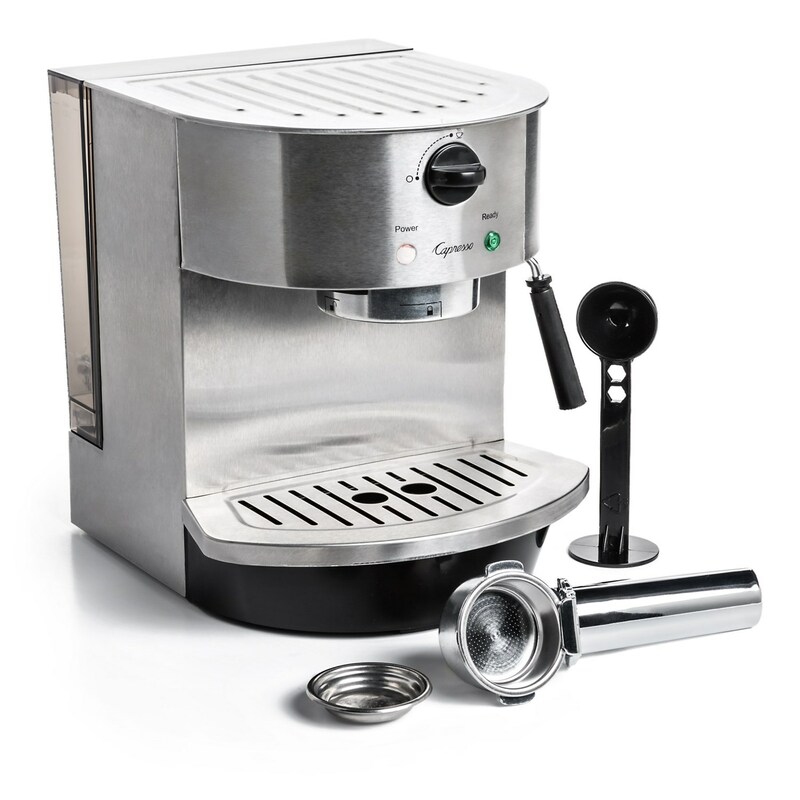 Brew your own specialty coffee drinks at home with the easy-to-use Capresso stainless steel pump espresso and cappuccino machine. The advanced pump boiler heating system delivers consistent results, and the 15 bar pump provides optimal pressure for rich cream.